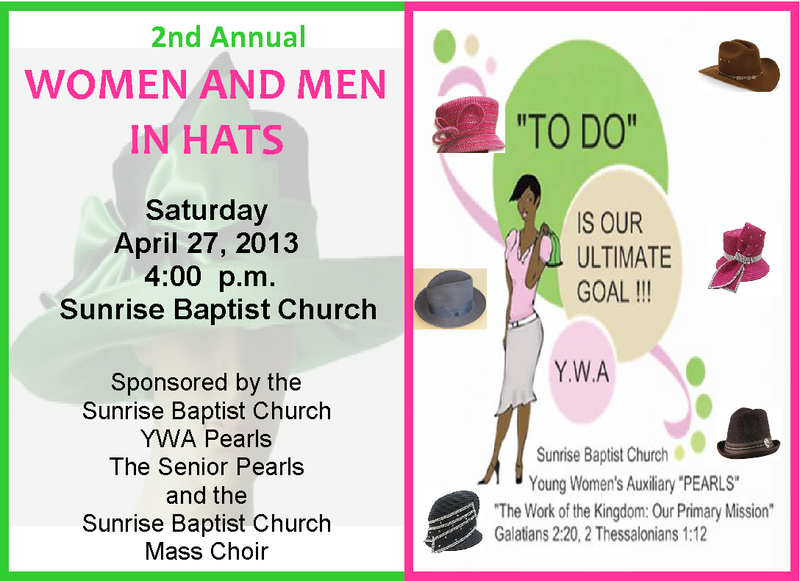 The 2nd Annual Women and Men in Hats will be held on Saturday, April 27, 2013 at 4:00 p.m. at Sunrise Baptist Church. The Young Women’s Auxiliary “YWA” Pearls, the Senior Pearls and the Mass Choir are sponsoring this event. This year’s theme is “A Wardrobe Makeover,” Ephesians 6:11-18. You and as many guests as you desire are invited to attend this spectacular event. Come out and see choice styles in hats.